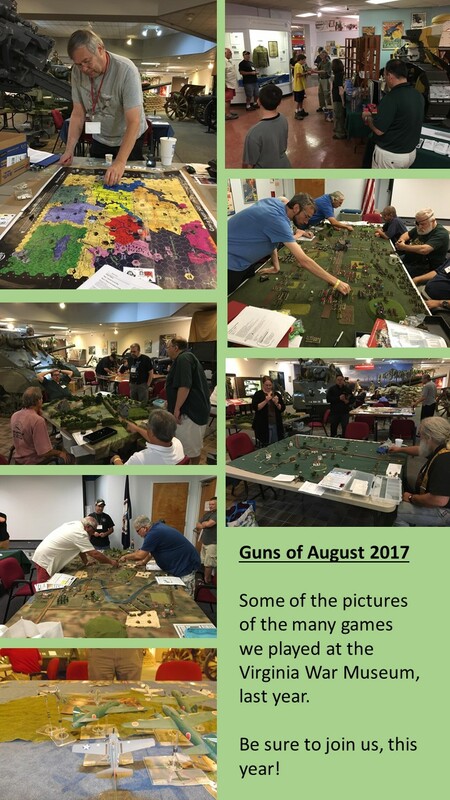 Old Dominion Military Society is a strong supporter of the Guns of August wargaming convention, now hosted by the Virginia War Museum. Game List - Lots of games already, including an all weekend Kill Teams event (demos, games, etc). For the current list see this preliminary event list. 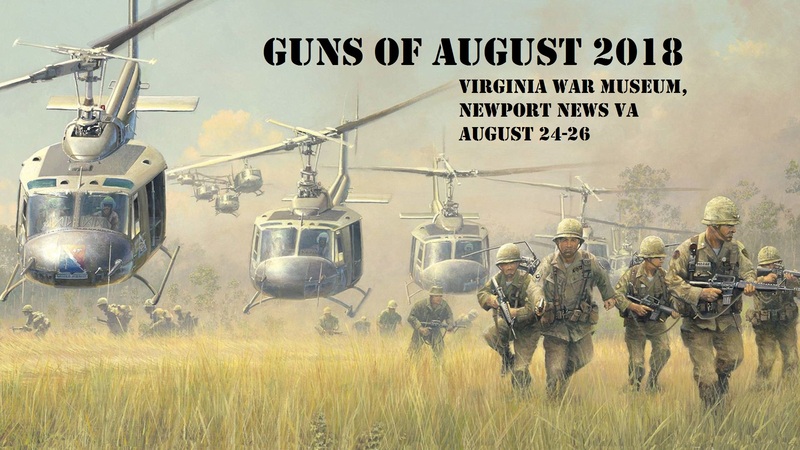 Venue - Between August 24-26, 2018, the Virginia War Museum will host the Guns of August wargaming convention within the galleries of the museum itself. Tables for games will be set up in the galleries of this museum dedicated to the exhibition of military history from the American Revolution up to the most recent conflicts in Afghanistan. Admission - Access to the museum on the days of the convention ($8/adult, $6/child) will also include participation in the wargaming convention - so feel free to observe the games, ask questions, learn about wargaming, and play in the the ongoing wargames! Game masters - Anyone who are interested in hosting a game at the convention should contact the Convention Director, Chris Garcia, and give him the information about their game (time of the game, theme, title, and so on). Game masters will receive a reduced rate to attend the Museum/Convention. Vendors - The convention will feature vendors selling wargaming hobby accessories, toy soldiers, games and other products. Interested vendors should contact the Convention Director. Tables are avialble for $40.00 for vendors.